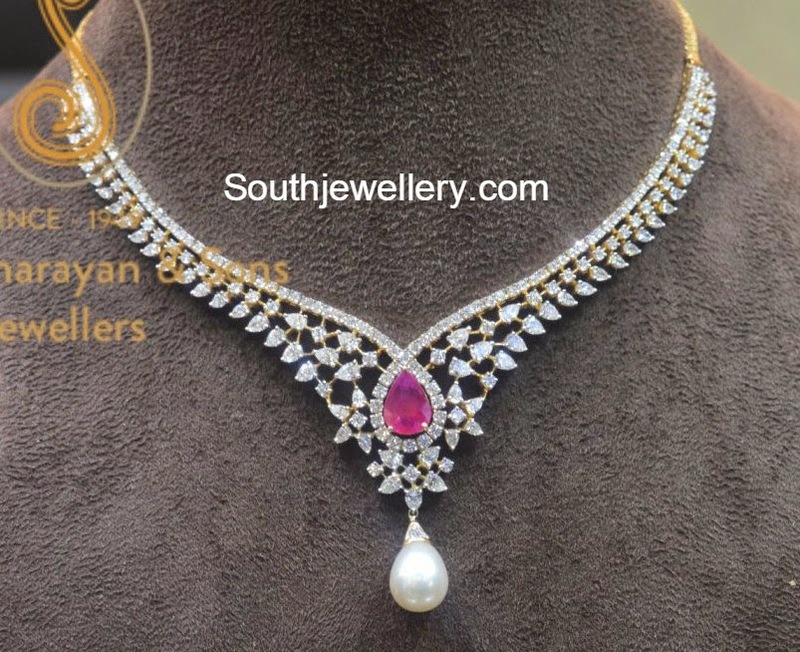 22 carat gold multi string mangalsutra necklace with nakshi ball pendant adorned with rubies, polkis and beads. 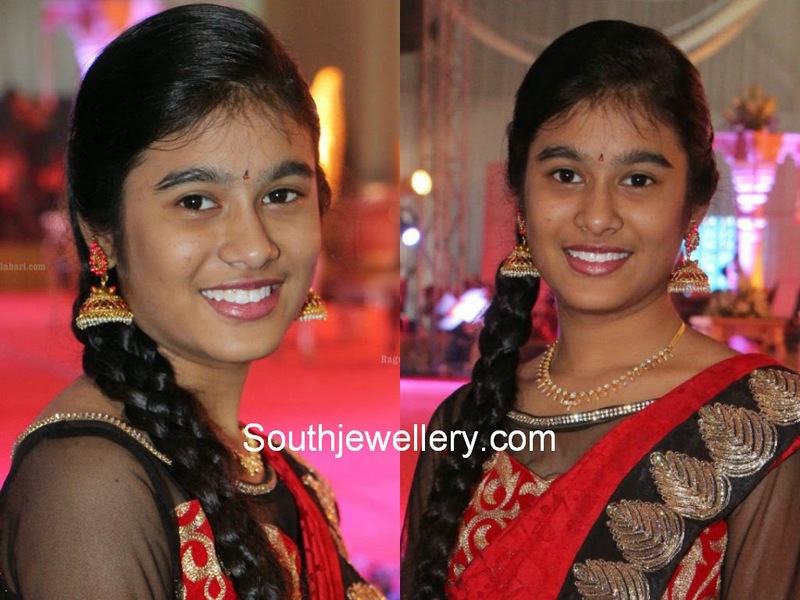 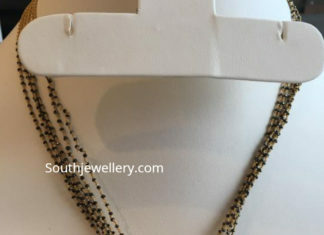 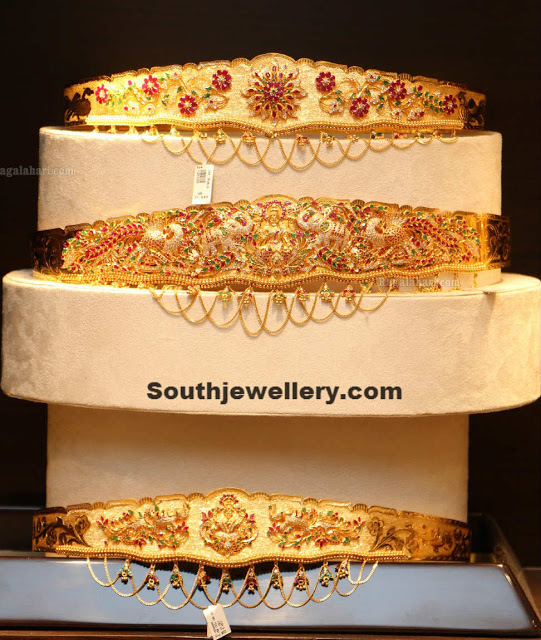 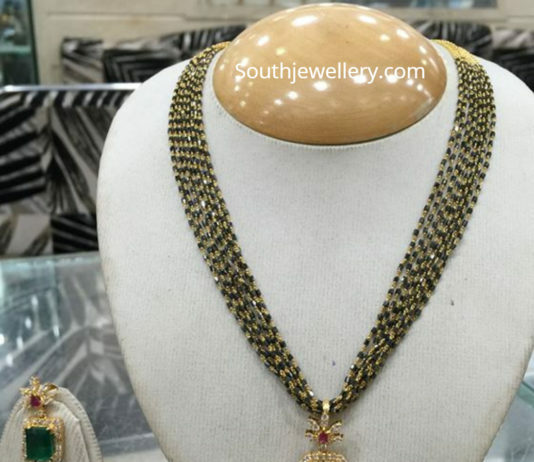 22 carat gold multi string nallapusalu necklace with kundan pendant. 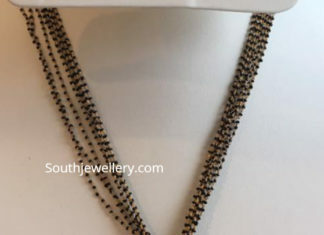 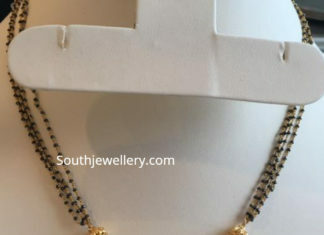 Multi string short black diamonds mangalsutra necklace with mango peacock pendant studded with kundans. 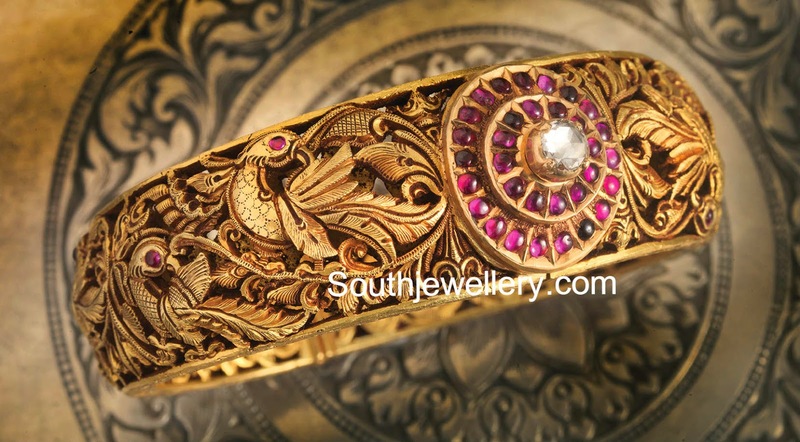 22 carat gold antique finish intricate nakshi work peacock design kada studded with rubies and diamond.